What is failure to provide a specimen? This offence covers a situation where a person fails to provide specimens of breath, blood or urine having been required to do so by the police. What are the penalties for failure to provide a specimen? 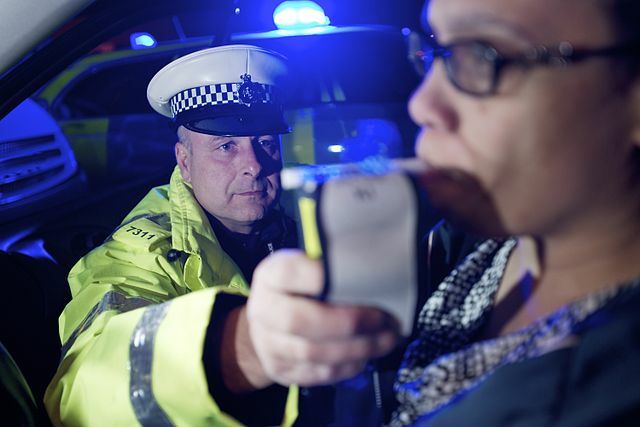 Failure to provide an evidential specimen of breath, blood or urine at a police station or a hospital carries a similar penalty to drink driving – a disqualification of at least 12 months. In practice, the starting point normally adopted by the Courts when sentencing for this offence is an 18 month disqualification as the offence is regarded as a deterrent to discourage people from deliberately failing to provide specimens. What defences can be used? As with drink driving, there are numerous defences that may be available to the charge in relation to both the procedure for obtaining the samples and the instructions given by the police for blowing into the evidential breath testing instrument at the police station. It may also be possible to argue that there was a reasonable excuse for failing to provide a specimen based on a genuine inability to provide specimens on medical grounds eg. (in the case of breath specimens) respiratory problems or asthma. Medical evidence will normally be required to put forward this defence. Where a reasonable excuse for failing to provide a specimen is raised, the prosecution must disprove it beyond reasonable doubt. As is the case with being unable to give a specimen of breath, an individual may be able to argue that they are unable to give a specimen of blood on medical grounds, such as a fear of needles, if requested by the police. I wasn’t driving the vehicle at the time so am I still required to provide a sample? The police may require any person to provide a sample for analysis if there are reasonable grounds to suspect that they may have been driving whilst over the prescribed limit. It is not therefore a prerequisite to a lawful requirement that the suspect was driving simply that the police have reasonable grounds to suspect that they were. However, failure to provide where it subsequently transpires the person was not driving does not carry mandatory disqualification from driving upon conviction. Can I avoid providing a sample if I am willing to provide a blood sample instead? Only if there is a valid medical reason for not providing breath for example a chronic lung condition which prevents you from blowing steadily into the evidential breath testing instrument. Where there is such a condition, it should be disclosed to the police and consideration must be given to the police as to whether it amounts to a valid medical reason. If the police officer is unsure then he should consult with a doctor or healthcare professional. It is not a valid excuse for failure to provide that you would prefer to give an alternative type of sample. Can I refuse to provide specimen until I had spoken to my solicitor? No, the police are not required to delay the evidential procedure in order for you to speak to a solicitor. However, if there is a solicitor immediately available to speak to you before it starts then the police should allow you to speak to them. As hard as I tried blowing, the police could not get a satisfactory reading from breathalyser. Will I still be convicted of failing to provide? In such circumstances, it is a defence if there was a reasonable excuse for failure to provide. A reasonable excuse can be a medical reason such as lung problems that made it impossible to provide a sample or a panic attack. It also covers a situation where the machine has not registered the specimen for some other reason other than if the suspect has deliberately obstructed the test. For example, if there was a problem with the machine itself that made it harder to blow into or if the instructions given by the operator were incorrect this may be a defence. Where reasonable excuse has been raised it is for the prosecution to disprove it to the criminal standard ie. beyond reasonable doubt. What is the difference between failing to provide at the police station as opposed to at the roadside? Failure to provide a preliminary test is less serious and carries a minimum of 4 points on conviction whereas failure to provide a specimen for analysis normally carries a mandatory disqualification of at least 12 months. I suffer from asthma or other COPD condition – will I still face a charge from the police? The fact that you suffer from a medical condition does not mean you cannot be convicted, expert evidence is always advisable in order to establish that you were unable to provide a sample as a result of the condition. What exceptions are there where I could avoid being banned from driving for failing to provide a specimen for analysis? On conviction, the offence carries a mandatory disqualification of at least 12 months if you were driving a vehicle before your arrest. If you were in charge of the vehicle the offence can carry penalty points or a shorter disqualification. If you were neither driving or in charge this can be used as a special reason to avoid any endorsement or disqualification. I started having a panic attack when using the breathalyser – can I use this in my defence? This is potentially classed as a medical reason for failure to provide which could be used to support a reasonable excuse. In order to succeed, there must be evidence not only a phobia of needles but also of inability to provide a sample as a result. Can I appeal my trial if I lose? Yes, but act quickly as any such appeal must be lodged within 21 days.